Earn $14.99 in Rewards credit (1499 points) What's This? Shimano's RS-330 Clincher Wheelset replaces the previous WH-RS31 with an updated hub design that takes cues from their top-of-the-line Dura-Ace wheels. The 30 mm deep alloy rims help cut through the wind while maintaining excellent strength for everyday riding, and they're laced 16 front / 21 rear with double butted aero spokes to further aerodynamic efficiency. 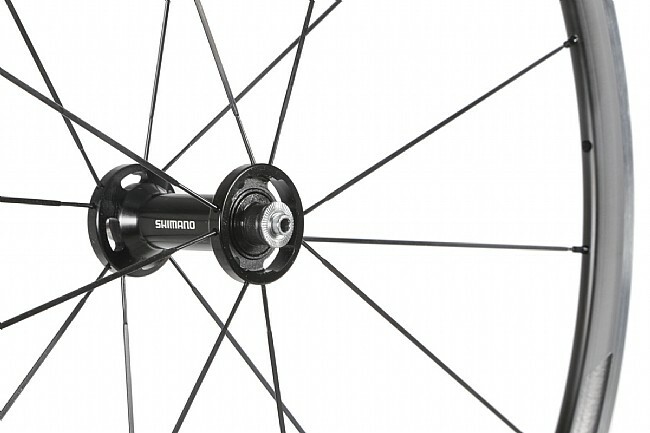 Out back, Shimano's OPTBAL lacing uses a 2:1 drive-side / non-drive-side spoke ratio to even out tension, resulting in a stiffer wheel that stays true for longer. Inside, cycling-optimized cup-and-cone bearings use a proven design that'll go the distance yet are easily serviced when the time comes a long way down the road. 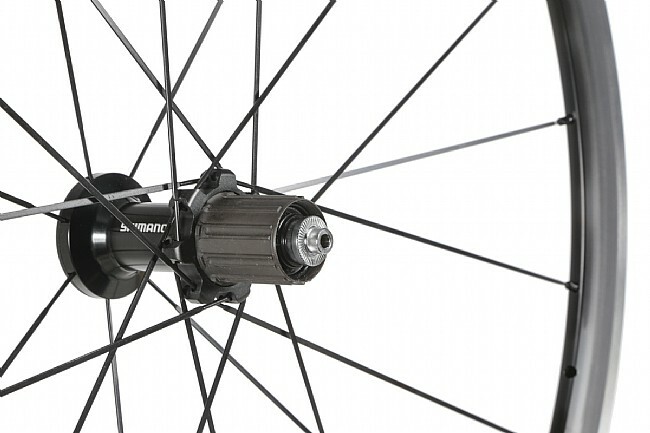 The RS-330 Wheelset includes quick-release skewers and rim strips. 700c (15-622mm ISO). Shimano/SRAM 8/9/10/11 speed compatible. Claimed weights are 845 g / front, 1179 g / rear, 2024 g / total. Amazing rims for the price! I purchased these rims last spring as an upgrade. After a full season of riding in all conditions and surfaces and even hitting several Michigan potholes along the way they have remained true and still feel great! Are there more expensive and lighter alternatives out there? Of course. But these are a solid choice for the money. 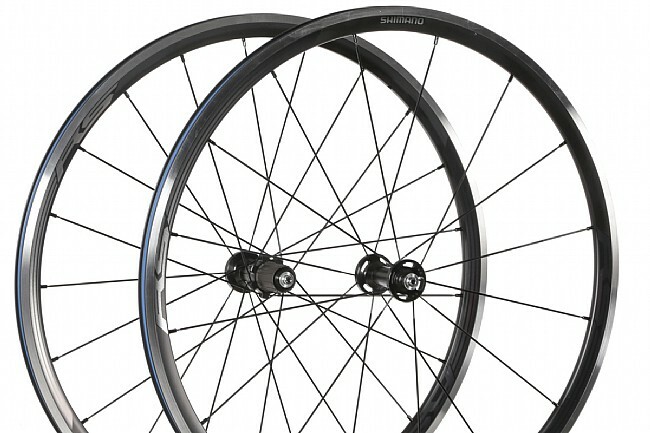 I used these wheels to replace the original Shimano wheel set that came on my Cannondale road bike. The new wheels are lighter and improved my overall performance. Good product and a good price.